Next year: Apple's head of retail. 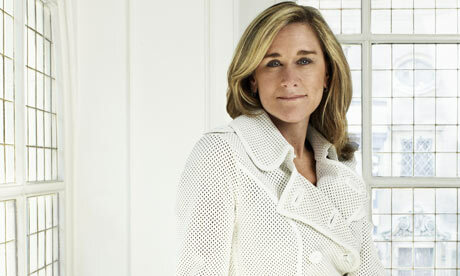 Today Apple announced the hiring of Burberry's CEO, Angela Ahrendts to take over Apple's retail business next year. She will be the only woman among the company's 10-person executive. Already there's speculation that she's the next CEO-in-waiting for Apple: a real co-branding of fashion and technology in the wings? brandchannel has also posted a feature speculating about the implications of Ahrendts' move to Apple. developed with jewelry designer, Dana Lorenz. Fast Company and Interbrand's blog have both recently speculated about challenges facing device manufacturers as they directly enter the world of fashion with the new wearable technology. Fast Company's Sarah Kessler wrote last month, at the time of New York Fashion Week, "Pretty colors can't erase criticism that Samsung's watch has no purpose, a clunky design, and an unwarranted high price tag. But it does go a long way in making it wearable." Rob Meyerson, Director, Verbal Identity at Interbrand San Francisco, is reassured that the major players (Google, Nike, Apple) are approaching this as a co-branding challenge. Devices being wearable isn't enough: they've got to be desirably wearable.